Marquette professor James Marten’s book that tells the story of a little known witness to President Lincoln’s death. 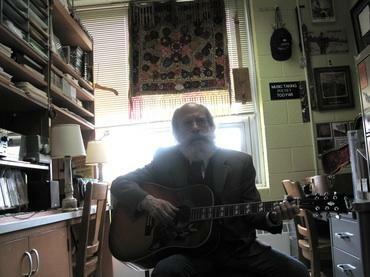 Lake Effect's Mitch Teich speaks to Marquette history professor James Marten. The history of the Civil War is filled with familiar names, military leaders who planned and executed battles, war heroes, and political leaders from the Union and the Confederacy. But the war altered the lives of thousands of otherwise ordinary Americans. James Tanner was a teenager who fought, briefly, in the Civil War, and was seriously injured. But it was his career in civil service after the war that was extremely well-known at the time, but almost entirely forgotten today. History writer James Marten believes it's a story worth knowing. 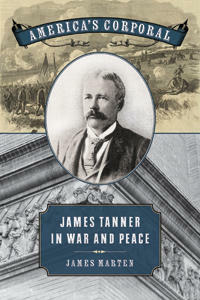 His new book is called America's Corporal: James Tanner in War and Peace. Marten, chair of the History Department at Marquette University, spoke with Lake Effect's Mitch Teich on how his book came to be. "He sort of witnessed the war without really being a part of it until this day on a hillside and he lost both legs," says Marten. Tanner was captured by the Confederacy receiving little medical care. After a prisoner exchange, Tanner returned home to recover physically and mentally. Tanner quickly reintegrated into political life working in the War Department as a stenographer. His experiences with government and politics as a wounded veteran led him to be one of the best-known men in the Gilded Age following his brush of fame as the stenographer taking down testimony feet away from President Abraham Lincoln on his death bed in 1865. Tanner rose to be an important Republican operative, speaker, an entrepreneur, and a celebrity. Despite his many accomplishments, few of today's historians are familiar with Tanner. James Marten's book brings Tanner back into the spotlight, highlighting the issues of a post Civil-War era many are unfamiliar with.